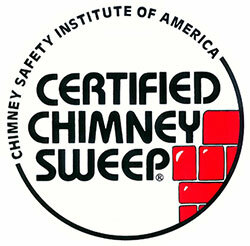 Our CSIA certified chimney sweeps can provide your fireplace with yearly cleaning and maintenance. For safety and performance, a chimney cleaning (sweep) is recommended for every cord of wood you burn. If you’ve recently moved into a home and are unsure of the chimney safety – call to schedule a chimney inspection and scan. A level 1 inspection includes a cleaning and a visual inspection of the chimney. A level 2 inspection includes a cleaning, visual inspection and a camera scan. The camera will go the entire length of your chimney showing cracks, blockage, deterioration and potential safety issues. The top of a masonry chimney has a concrete “cap” called a crown. Over time, the concrete cracks and eventually begins to deteriorate. This can lead to water seeping into the chimney. A crown coat can be applied to seal the cap and provide a waterproof barrier. The crown coat is best suited for minor cracks and minimal deterioration. We also provide crown replacement. In cases where the existing crown has deteriorated beyond repair, a new crown will need to be poured. The flat metal cap sealing off many gas or factory built fireplace chimneys are galvanized metal. Over the years, these rust and eventually begin to leak water. We offer custom replacement flashings in either galvanized or stainless steel.